German prosecutors say they arrested Bilal C., who had contact with the late ringleader of the November Paris attacks, Abdelhamid Abaaoud. German prosecutors said Thursday they had arrested an alleged Algerian Islamic State (ISIS) group jihadist who had had contact with the late ringleader of the November Paris attacks, Abdelhamid Abaaoud, AFP reported. The suspect, identified only as 20-year-old Bilal C., is accused of having informed Abaaoud of ways to smuggle jihadists into Western Europe along the Balkans route then used by a mass influx of migrants, according to the news agency. He had also been in touch with Moroccan jihadist Ayoub El Khazzani, who opened fire with an assault rifle on an Amsterdam-Paris train last August but was overpowered by a group of Americans and a Briton, prosecutors said. Bilal C. was already in custody "on another matter" when the German domestic intelligence service identified him as an ISIS suspect, said federal prosecutors in a statement. An investigating judge had issued a new arrest warrant. The man allegedly travelled in 2014 from Algeria via Turkey to Syria where in December he joined ISIS and received combat and weapons training. In June 2015, Abaaoud allegedly instructed him "to explore the so-called Balkans route in terms of border controls and trafficking opportunities". "As a result, the accused travelled from June to August 2015 from Syria via Turkey, Greece, Serbia and Hungary to Austria" before reaching Germany, the prosecutors said. Along the way he had informed Abaaoud of "any open border crossings, waiting times, and arrival and departure routes," the statement said. 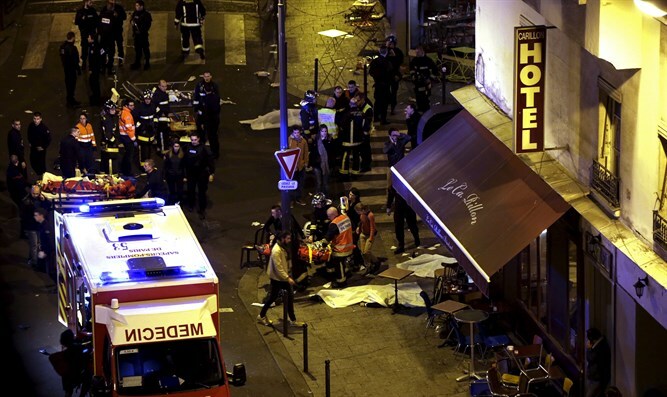 Several members of the ISIS group that carried out the November 13 Paris attacks are suspected of having posed as refugees. After his death there were reports that he had planned attacks on Jewish targets in France as well. German authorities said on Thursday Bilal C. had also kept Khazzani up to date on trafficking opportunities, "particularly from Turkey to Greece". Prosecutors said they had no evidence Bilal C. had been active on behalf of ISIS since arriving in Germany. Germany, like many countries in Europe and throughout the world, has been fighting radicalization. In December, two former ISIS jihadists, including a would-be suicide bomber, were sentenced to jail by a German court on charges of involvement in a terrorist group. And in May, German police arrested three Algerians suspected of links to ISIS after raids targeting several sites.